Looking for a tasty way to beat the heat? 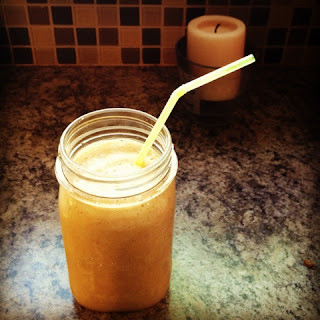 Try this easy, kid tested smoothie recipe reminiscent of peach cobbler a la mode. It's simple, delicious and super healthy. Comfort food at it's best! Variation: Consider using frozen banana's and cold almond milk for an ice-cream like texture. Top with Granola!